Dr. Clifton Potter ’62, professor of history, has received the T. A. Abbott Award for Faculty Excellence from theChristian Church (Disciples of Christ) Division of Higher Education and Leadership Ministries. This is the most prestigious recognition given by the Christian Church to members of faculties of the colleges and universities affiliated with the church. Recipients are recognized for inspiring students toward excellence and whose underlying educational philosophy is wholeness of person; for continuing to grow and learn in his/her academic discipline; and for manifesting a personal faith. Dr. Potter’s research interests include the Elizabethan Age, with a special emphasis on the use of art as propaganda, English history, modern Europe from 1700 to the present, and the history of Central Virginia. His most recent book, Victorian Ambivalence About Elizabeth I: The Political History of a Royal Reputation, was published by the Edwin Mellen Press (July 2010). The editorial board for the Mellen Press acknowledged the book’s “distinguished contribution to scholarship” by awarding it their own Adele Mellen Prize. 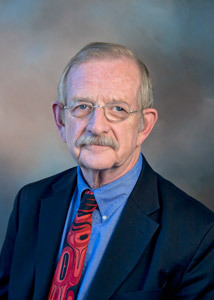 Dr. Potter is the seventh LC professor to receive the award. Past recipients are: Dr. John R. Scudder Jr., Dr. G. Kenneth West, Dr. Phillip Stump, Dr. Michael Santos, Dr. Elza Tiner, and Dr. James H. Price.